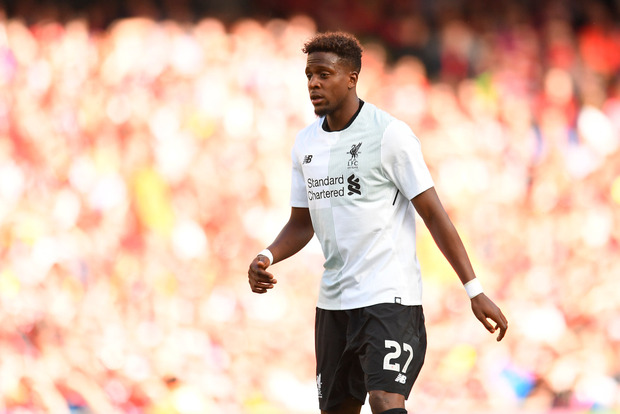 Liverpool are insisting that striker Divock Origi cannot join Borussia Dortmund on loan without an obligation from the German club to buy him. Dortmund remain in talks over signing Origi before the end of the month. Liverpool's initial £27 million valuation was considered too high by Dortmund, who would prefer to take the Belgian on a season-long loan. But, with just two years remaining on Origi's contract, Liverpool will loan out the 23-year-old only if there is an agreement that Dortmund buy him at the end of it. Liverpool do not want Origi's value to drop while he is playing elsewhere and leave open the prospect of him returning with only 12 months left on his deal next year. Having initially wanted to sell Danny Ings for £24 million this summer, Liverpool allowed him to join Southampton on loan ahead of a pre-agreed permanent move worth £18 million plus £2 million add-ons. Liverpool and Dortmund could strike a similar deal over Origi if the clubs can agree on the final figure and when the move would become permanent. Origi would be interested in joining Dortmund, but is also happy at Liverpool and still believes he could compete for a place in the squad. He spent last season at Wolfsburg and endured a turbulent spell on and off the pitch. Nick Purewal Christian Benteke's first goal in almost a year helped Crystal Palace sink Arsenal 3-2 and put a huge dent in the Gunners' Premier League top-four hopes. Phil Blance Liverpool returned to the top of the Premier League as Jurgen Klopp's second-half specialists struck again to clinch a 2-0 win at Cardiff. Independent.ie Newsdesk Sky Sports pundit Gary Neville didn't hold back after Man United's top four chances took a big hit following the 4-0 defeat to Everton at Goodison Park.